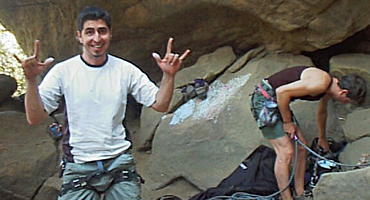 Most climbers can’t stay away from climbing in the Fall and Winter. Our favorite route is no longer sitting in the sun, which makes sitting in nature all that more appealing. Some of us love night-climbing but are sensitive to the cold all year long. Heat Factory hand warmers are a great solution for both, and there are many creative ways to use hand warmers for rock climbing. As an avid climber myself, I’ve found that my feet always run cold- the most painful part of this is putting my rock shoes on and taking them off between climbs. If you put a hand warmer or foot warmer in a zip-lock bag with baby powder and leave it slightly open, the powder will warm up and retain heat well. When it’s your turn to climb, simply pour the baby powder in your shoes to stay warm while you’re sending your next route. Keep a warmer in your approach shoes for when you get done. For your hands, keep a warmer in your chalk bag. Everytime you’re able to rest you’ll be able to dip your hands into warm chalk to re-heat the tips of your fingers. Of course a good windmill or two will always help too! 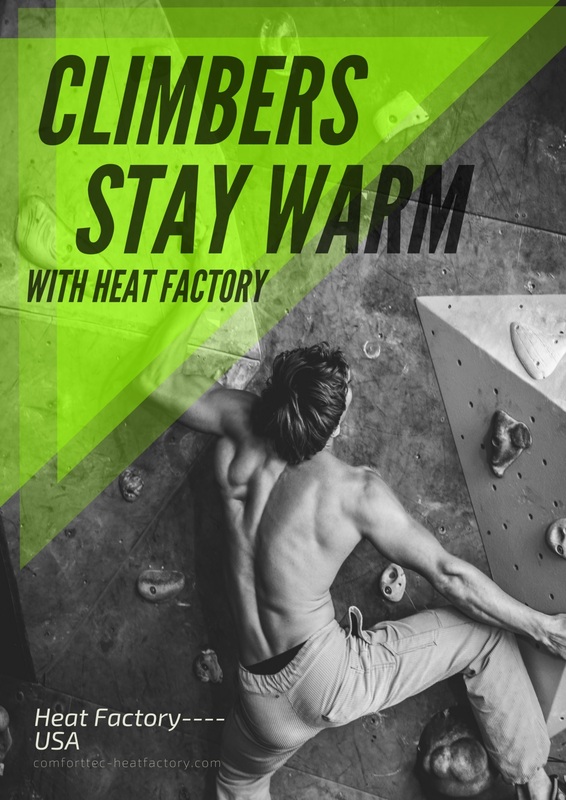 This entry was posted in Rock Climbing and tagged hand warmers for rock climbing, Heat Factory rock climbing, rock climbing. Bookmark the permalink.